In previous articles, I, the scribe, have described the collective Beast of empires that has ruled over Hebrews in the land of Israel- those who have hindered God’s will for a holy Kingdom, in which the Messiah will come to reign from and righteously rule the world. We considered Satan as the great, red “Dragon” with seven heads and ten horns, and I explained that the spiritual symbolism of the Dragon represents all of his historical works against Israel. After that, we considered that the Dragon gave his “power” in accomplishing this to the “Beast” that emerged (in John’s vision) from the Great Sea (also having seven heads and ten horns, as his will manifest on Earth). Hence, the Beast is described as emerging from the Great Sea, and during the Apocalypse it will be accompanied by another ram/lamb-like “beast” with “two horns.” The ram in Daniel is the Median-Persian Empire (geographically centered at Iran), but during the Apocalypse it represents the two horns of power that have arisen in the religion of the region: Islam (Sunni and Shia). The ram is collectively called the “False Prophet,” namely because the great False Prophet Mohammad is the root of these two power structures of the Muslim religion. During the Apocalypse, the False Prophet will give its power to the Beast/Antichrist (much as Islam supported Hitler in his attempt to destroy all Jews). And, according to Scripture, they will behead all who will not submit to the Antichrist’s system. Indeed, beheading during the Apocalypse is a clear clue that Scriptures speak of Islam as the False Prophet entity, seeing that this kind of barbarianism has long been the hallmark of Islam since Mohammad encouraged it- for all who would not submit- some fourteen centuries ago. Moreover, the Beast of the sea is an historical assembly, and during the coming tribulations it is helped by a religious-appearing creature from “the earth,” which emerged after it: the False Prophet ram/lamb of Islam. Daniel described the end-time ensemble of these mixed cultures by the feet of an ancient Babylonian image (Babylon now the region of Iraq) that King Nebuchadnezzar dreamed of: as iron mixing with clay (Roman/European power mixing with Ottoman/Islam power). As we explore this chapter of Revelation, another nefarious entity (provoking God’s wrath) is revealed, which the book likens to ancient Babylon; only, this adulterous entity is called “Mystery Babylon,” for she is not part of the ancient empire of southern Mesopotamia. She shares in its wicked spirit of worldly rebellion and mirrors its history, as far as how it relates to Israel, but her name is left for readers to discern rather than it being literarily revealed. John wrote quite a bit about Babylon, so before we explore this mystery, we should make a distinction: specifically, that she only rides the main, first Beast in Revelation. This is important to note in identifying her, because the secondary beast of the False Prophet (Islam) has not been ruled by her (i.e., ridden). When John received the vision in the first century, Rome was the seat of control over the devouring empire, so this tells us that a new power (Islam) would emerge from the Middle East earth (7th century origin), and it would help empower the primary Beast in the end; moreover, the False Prophet beast would never be ruled by the Harlot that is seated at the city of Rome. Since ancient Rome (before Islam) did indeed rule over the Near East and part of the Middle East, we know that the Babylonian entity- riding the Greco-Roman Beast- would not possess the same power over the region after Islam arose and the power of the Roman Beast waned. Further, when we consider that Europe was largely ruled by the Roman Catholic Church, as a worldly-minded harlot that has not been spiritually faithful to God, which again, is seated at the ancient city of Rome, it becomes clear why she does not ride the secondary beast of the False Prophet in Revelation: Her religion has not meshed well with the newer Islamic religion, rather they have been at war for centuries. Remember, both the Beast and False Prophet hate the Babylonian harlot during the Apocalypse, though the first Beast she once mounted and rode. Bible exegetes and prophecy enthusiasts often associate the False Prophet beast with the Roman Catholic Church, i.e., with Babylon, but clearly the False Prophet is an entirely different entity. We know this because the False Prophet beheads those who will not receive the monetary mark of the Beast during the Apocalypse, and in our day in time, only the barbaric religion of the false prophet Mohammad is beheading those who do not submit to their will. Moreover, those who truly study Revelation know that the False Prophet beast cannot be the Babylonian harlot in which both beasts hate. In the Book of Revelation, the Beast empire casts her off, and she can no longer rule; so we discern that the picture of her riding the Beast depicts her historical power coming to an end. Unmistakably, the Antichrist will align himself with Islam and blaspheme the God of the Bible, persecuting Christians and Jews. Thus, the Lord calls for His people to escape her curses and come out of her. And, consider, that ISIS is threatening that Rome is next on their list of terrorism. The head Roman Bishop, Jorge Mario Bergoglio (whom Catholics call their “pope,” meaning papa), has pandered to Islam as “brethren,” yet he reportedly has a hit out on his head. Recently, he stated his fear of assassination, and that he hopes it will be quick if it occurs, for he cannot endure pain. Moreover, the identity of the False Prophet entity belongs solely to Islam, as a plague on Christians and Israel. So the Lord- showing us Islam as a ram with two horns, speaking like the Dragon/Satan- is explaining a sacrificial animal that speaks of death with cruelty, and, indeed, the Islamic children of Satan often sacrifice themselves in homicidal bombing of innocent people, and they believe that their slaughtering of innocent people will cause their false deity to invite them into paradise- ignorant to the fact that shame awaits them when they perish in hell. The Catholic priests do not boast to the world, not as the Dragon does, about destroying and killing innocent people, but they speak of peace quite passively, even though they distort the Scriptures as Satan does. Islam is the religion that worships death and slaughter, and Islam is indeed the False Prophet of Revelation. There has never been a more widely accepted false prophet than Mohammad, founder of Islam. Before I continue, I think that I should explain that identifying Babylon as the Roman Catholic Church gives me no sense of pleasure. I, too, am a Christian who believes in redemption, and I know both the good and evil of her history. I know that there are many wonderful Catholic Christians who only want to do good for their God and Christ, and they truly believe that their priestly hierarchy is something holy and good, even while they turn a blind eye on the Catholic Church’s atrocious history and distortions of the Holy Scriptures. We cannot speak of Catholics without acknowledging all the hospitals and schools and charities of the religion. Nevertheless, God’s judgment is coming upon her, the Roman Church, and I cannot excuse the evils of her history as others do, or write apologetically; readers must awaken to fact that God’s Spirit brings all things into remembrance for His justice. There is a time for justice and a call for God’s people to escape. His zeal for the truth presses this work forward, not any personal desire on my part to condemn anyone or any institution or nation in the world. Whom the Lord loves, He corrects and chastises, and after so long He ends the evil things that people vainly build when their evils and abominations run over the chalice brim, and they yet refuse to repent. The Roman Catholic Church has long boasted that she “never changes,” and for this refusal- which does sound a bit like Satan- she has brought an end upon herself, even as the people of God escape her grasp to become citizens of the true Holy Bride of the coming Christ. God so loved the world that He gave His only begotten Son as a sacrifice, and those who have corrupted the Word, salvation, and the glory of the Son are appointed to His wrath. The LORD judges all nations with a flawless memory, but even more zealous is He for judging injustices done by the people of His name, entrusted with His works. This is a scriptural truth evident by judgments that the Lord YHVH brought upon Israel and Judah, and by many prophecies that He sent against them because of their obstinate ways and fornication with pagan nations and foreign idols, in which they bowed before. He was a “Husband” to the Hebrew people, yet, because of the long years of their callous trespasses, He called them “harlots” of the faith. He allowed the destruction of the city in which He loves, which is Jerusalem, and He allowed ancient Babylon to cast down the Temple of His glory. He judged His own people for their injustices; they were far from exempt by any Divine right or passage. In my estimation, the Roman Catholic Church has been given a much lighter burden during this Age of Grace, but the Age of Grace to Gentiles is coming to an end for the return our awaited Messiah, for His judgments. Now is the time for justice and the end of the worldly, corrupted and obstinate religions. Indeed, true Christianity will thrive, and Israel will survive in great glory, but the old institutions will be forever destroyed. In my own reading of Catholic history, I felt compelled to look the other way, as someone does when not wanting to see a cruel and senseless accident or slight injustice done by a trusted friend. I preferred to look only upon the thin and beautiful veil of the Roman Catholic Church rather than lift it for the light of truth to shine through. Nothing, however, remains in the dark with the Lord, but He calls out hidden things to His truths, to the light of His life. Under the thin veil, beneath the abundant cosmetics of the Roman Church, lie a hideous creature that has yet to meet the judgments of God. I was prepared to look upon the glory of her accomplishments, but the Lord recalls the long history of her riding on, and ruling with, the Roman Beast. The Lord brushes nothing under the historical rug, although He has extended her grace until the end of the Age of the Gentiles. Today, He looks to her unrepentant nature, her self-aggrandizement, upon her pompous parade, and to her unpaid balance of blood and injustices- her mixing of good and evil for worldly power, all in His name. It may be that Catholics electing the Jesuit Jorge Mario Bergoglio will prove to be the straw that broke the elderly camel’s back. But no matter what the final straw is in the eyes of the Lord, or if it is merely the appointed time, this is the last generation of the hierarchical religion. The end comes as was Divinely appointed. 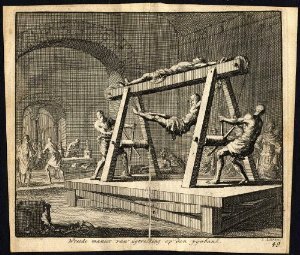 Today we no longer see the tortures of the Inquisitions in secular Europe. The evils that some of her Catholic heads do are much milder, more secretive, and hidden behind the façade of beautiful cathedrals and her worshipping masses. Yet, what we see is not the same as what God sees, who knows every thought and unjust deed done in the world. He knows every plot of submitting nations to Catholicism and every political scheme for personal power and prestige. Perhaps I received a glimpse of His perfect view when over a decade ago I saw Babylon as a large piranha in a small fish tank, with dreadful teeth. I had lightly esteemed the long history of her injustices, for I know that histories are often written by flawed men who lean upon their own ideas with subjective interjections, to promote their own worldviews. There are two sides to every story, as most Catholic historians and scholars are quick to postulate, painting the Roman Catholic institution as a perpetual victim of Satan’s assaults rather than an actual perpetrator of his injustices. 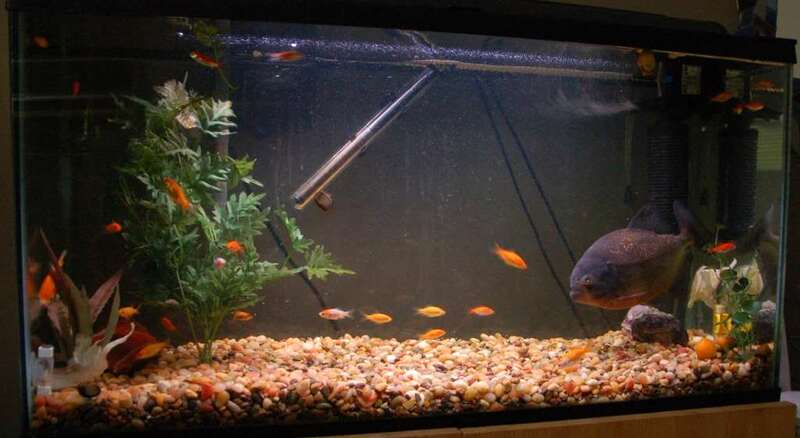 In the dream that the Lord brought me into, the little fish swam in fear of her, hiding in the corners of the aquarium where it was more difficult for her to reach. Then the Holy Spirit instructed me to put on a thick mitten and remove the dreaded fish from the tank. In normal circumstances, fish are removed with nets rather than oven mittens, so at the time I did not discern the meaning behind what I was told to do, although I did it anyway. Today, knowing much more about spiritual symbolism, I comprehend that I, too, would have to put my hand in the waters of the Word for her removal, and that I will be protected (mittens) from any attack by her people in the process. Why has our God drawn His sharp, double-edged Sword against the Roman Catholic Church, which calls herself the “Mother” of Christianity? Why has He sent His Word against a church system that calls herself the “Queen of Heaven” and even the “Bride of God”? 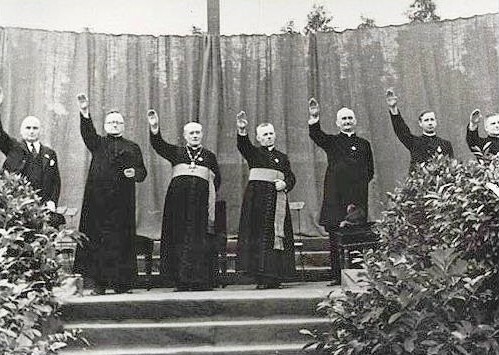 Because neither the soft touches of the latter, elderly Bishops of Rome, nor adoring praises from the masses in her square, can erase a tainted history of over 1,600 years of spiritual corruption, via their cruelty for power and twisted interpretations of Scripture for gain; nor can golden chalices, solemn assemblies, and flowing robes of the whitest fabrics hide her ancient mixture of good and evil in both words and deeds. Her more than 600 years of torture and murdering of innocents, largely by her puppet kings of Christendom, has not been forgotten by our God. Indeed, she had ridden the Beast to devour her enemies, and now my Elohim YHVH has passed judgment on her and will not forget her recusancy, even if we might unjustly excuse her in this present era. The Lord’s fury builds-up inside His scribes and preachers- not to torture as she has done but to set all things straight and in order for the coming of the Great King. If not for the promise to Peter, the Lord surely would have long ago stripped the Roman Church down to a ruinous heap of repugnant ashes, and no one else would have called themselves by her “universal” name. For one young girl injected with The Pear, and ripped-open in the Inquisitions, wrongly called a “witch,” the pope who turned his head would have had every thread of glory ripped from his head and his house ransacked in ruins. 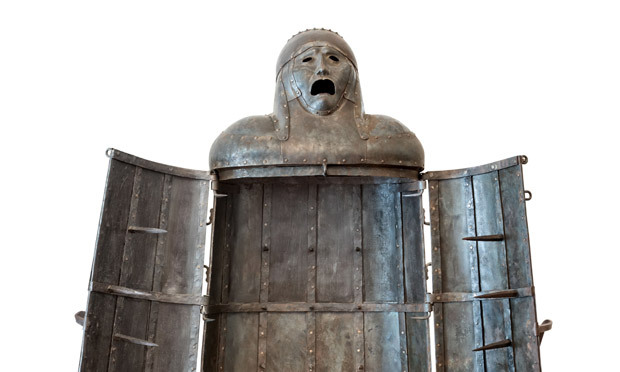 For one heretic hung in The Cage, starved and subjected to the cruel elements of the weather, until only the dry bones from his cadaver were cast away as burdensome trash, a millstone would have been hung around the consenting cardinal’s neck. For one woman butchered with the Breast Ripper, as the clergy snarled, “sinner,” in the torture chamber, the Lord would have collapsed the murderous church. For one righteous man sent to the Garrote, the Lord would have stripped the gold from off the papal necks and the fingers of those who sat in judgment under the authority of the Roman Catholic Church. For even in things done in the name of God, for the Roman Church by monarchal rulers, her silence in knowing would have been her Divine condemnation, and only by the grace and mercy of God has she has stood until now. Indeed, she has not been the Ekklesia that Peter, Paul, and the apostles began for Rome and throughout the empire, but she has for all these centuries been adulterous with world powers, murderous from the priestly top on down. How much more will the Lord now recompense her for the uncounted masses who were strapped to spiked wheels and broken; for those drowned with funnels of vinegar; for those put to the Heretic Fork; for those forever silenced by the Brank; for those crushed with Pressing Fingers; for those mutilated in the stocks, racked, sliced-open with swinging pendulums, shut-up in the Iron Maidens; for those tortured in the Judas Cradle, for those hung and stretched apart by their ropes; sent to the guillotines; burned continuously at the stakes; for those imprisoned in chains in dark dungeons as the local clergy feasted on the heretics and apostates’ estates; and those maliciously disembodied and disemboweled by every conceivable evil which could enter into the beastly minds of those ruling the nations with the justification of the Roman Church and her inquiring men? “There is no salvation outside the Church”- Cyprian 256 A.D. 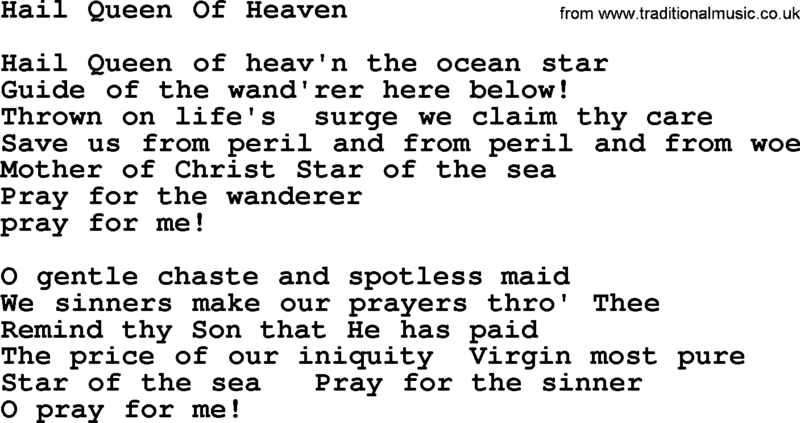 Above are a few of the anti-scriptural, dark sayings of the “saints” of Roman Catholicism. Volumes of books have been written that document her atrocities over the centuries with her alleged “authority” over the believers of the Lord. How far might have the Gospel gone and won more hearts to Christ had she reigned in grace, mercy, righteousness, and love for the broken and lowly? Would the nations of today, especially those of beastly Europe, so gladly cast off the harsh yokes of Christianity had her history not been so tainted, cruel and bloody? Would the name of the Messiah be blasphemed half as much today had she not caused the learned among men to despise the holy oracles of God, who mistake her dogma and traditions with the Doctrines and Testimony of Jesus Christ? Moreover, for all the good deeds claimed by the Catholic Church, and many done with hospitals and orphans, the evil of her history is equally astonishing. Her “Edicts of Faith” brought fear into the hearts of vulnerable, simple, poor, and uneducated people. Her inquisitors promised forgiveness of sins to those who brought accusations of heresy against their neighbors and kindred. They rode into peaceful towns and villages to search-out sinners, as if they had a sales quota, turning manipulated children against parents and naïve neighbors against neighbors, even enticing the poor of the people with church money to reveal heretics. And those who were rounded-up and tortured to death received quicker deaths for producing more names of heretics. The corners of whole nations were searched out for anyone who would dare whisper against the so-called “Holy Church.” All were to bow before the popes in the height of their power, and to their idols of wood, marble, and stone, which she called “holy” and “saints.” This was not the Christianity that Christ taught, but the work of Satan through the churches. 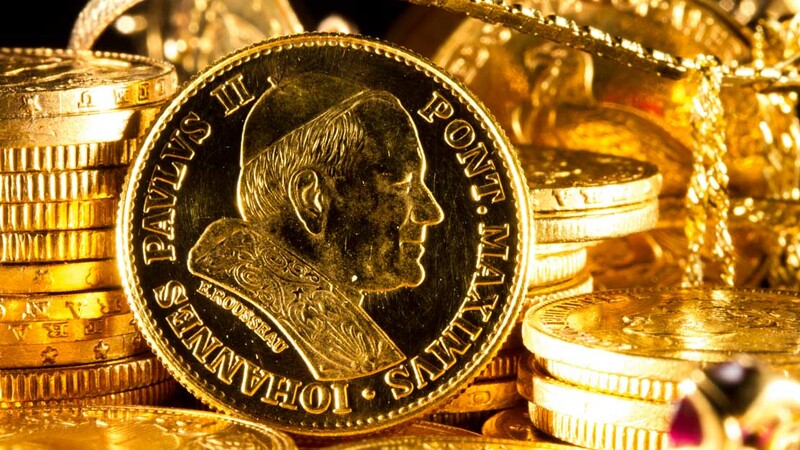 Whole estates were confiscated for the Catholic Church’s treasury, which further enticed the clergy to cruelly accuse. Children watched parents burned in open town squares. Orphans begged in the streets while their fathers were rotting in church purgatories. And when the inquisitors burned the heretic to a crisp, they called it “relaxed” and “relieved,” as if they had done the poor sinner a favor. Many were bound to crosses after trials without witnesses, without hope of salvation. 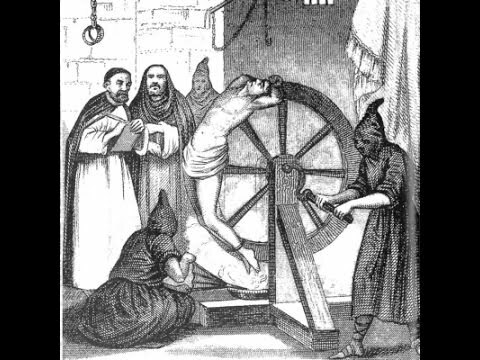 Pulleys lifted the heretics to ceilings, with iron weights at their feet, perfecting the art of horror in their torture chambers of confessions. 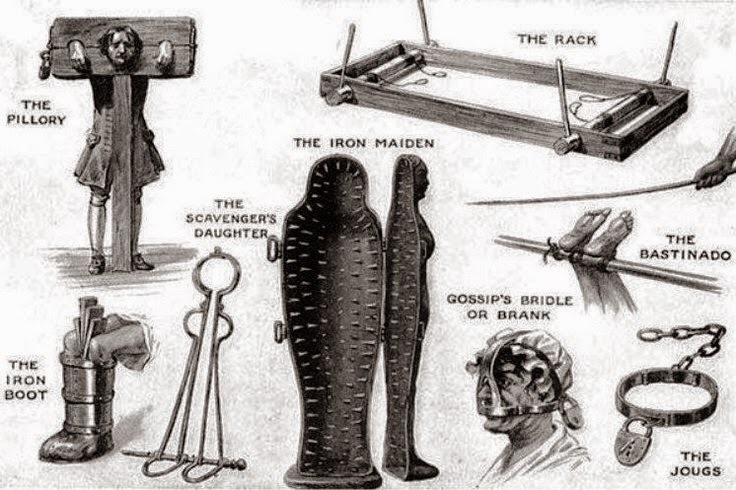 Some of the so-called heretics, apostates, and infidels (unfaithful) had their arms and legs broken so that they would die painfully slowly, satisfying some of the inquisitors who believed that torturous death was not to come with blood. Indeed, how very Christian and thoughtful of them. The list of such injustices over the centuries, endorsed by unfaithful Babylon, were neither few in number nor all done in zeal of holiness. Most of that which was done was to sustain papal power and prestige by putting fear into the hearts of the masses. But the worst of these Roman Catholic crimes against God was the religion’s claim that their priestly institution was the intermediate of salvation between sinful man and Holy God. How many people lost their faith in God and righteousness, even counting themselves damned at death, because the Catholic Church condemned them, with them believing that it had some kind of Divine authority to do so? The Catholic Church has for most of its history claimed that what they bind on Earth is bound in Heaven, and whom they cast out of their church was loosed from Heaven and condemned to hell or purgatory. So the “Holy Office”- the Sanctum Officium– had long ago fallen far short of the glory and holiness of God, crushing the common people as serfs and exalting the pomp of the fatted pious. Money paid for forgiveness of sins (indulgences), and holiness was reduced to the image of ceremonial extravagance in their solemn traditions of death. Yet Babylon had her glory in her day, excommunicating kings in Europe; employing armies of crusaders and riding the Roman Beast up and down the nations from on high and feared; slaughtering and exiling heretical Christians and Jews in her holy inquisitions. She had her accusing, religious kings make her feared; she had popes such as Pope Gregory VII, Pope Innocent III, Pope Boniface VIII, Pope Alexander VI, Pope Gregory XIII, Pope Pius IX, and archbishops and cardinals from all over the beastly empire, laymen, inquisitors, brute kings from Spain to Germany, and men of the cloth everywhere to humble the peasants with fear, torture, and death. But now what will she do, seeing that the nations of the Beast, one by one, have cast off her reins? Furthermore, the Beast which she once rode is prophesied to trample her underfoot. So who will come to the rescue? Does showing herself humble for the poor now- now that her power has been removed- actually atone for the centuries of sorrows and haunting screams that she has caused? Should God forget now, now that her power is mostly gone? Now will she rule with a rod of iron in the Seat of Christ, as Vicar of Christ? Now will the Primacy of Peter save her? Will she again accuse the Jews of their unrighteousness? Is salvation only by her, now? Is she tolerant now, now that people all over the world can possess and teach the Word in their own language, outside the Latin of the clergy? Is it enough now, now that the people mustn’t bow and kiss the golden rings of their pious popes under fear of death, torture, or excommunication from Heaven? Now has she become holy? 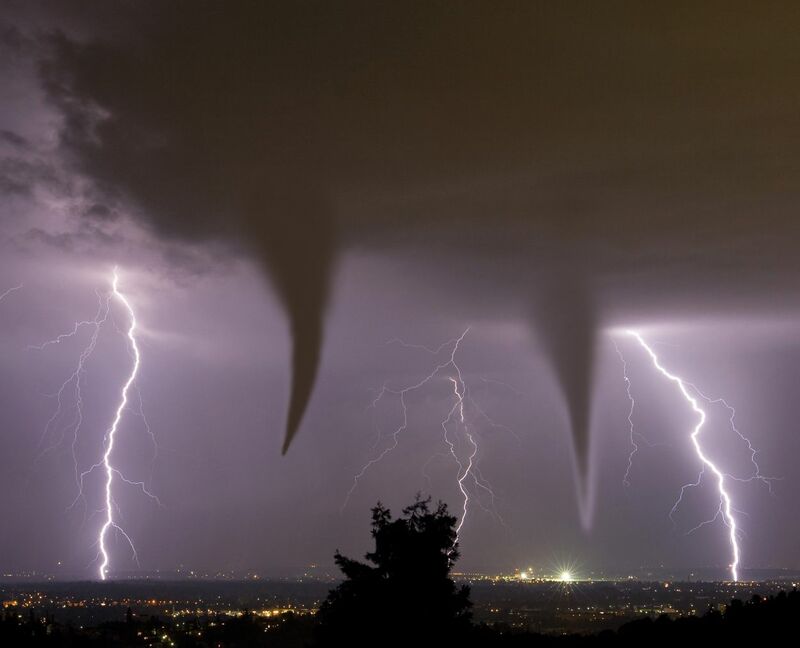 I cannot in this brief article summarize almost two thousand years of Roman Catholic history (good and evil), but make no mistake, the city and the Roman Church are prophesied to endure the wrath of God. Many of her people will become part of the Kingdom of Heaven, but the institution will fall with all the daughters of Babylon. Peter’s glory is not tarnished, nor the early Ekklesia, nor the righteous people called from the cathedrals in our day, but all the faulty doctrines will be brought to nothing; all the pomp will be brought down to disgrace; the golden chalices will not be found in her; rosaries will be cast away as accursed relics of pagans; holidays of good and evil will be dismissed and forgotten, known for their corruption of the Lord’s holy moedim; idols will be broken in shame and regret; countless volumes of traditions and dogma will be rolled-up for incendiary paper; repetitive and dead litany will no longer be uttered; confessionals will be honored among the wicked as demonic outhouses; the liturgy of the lethargic will be as the rites of the Druids; the ancient treasures in locked chambers will be subject to thieves and ash; and everything that has been built on the foundation of Christ will be tested for truth, with all things outside the Word of God, which do not conform to the Word, burned to crisp with shouts of joy. The doctrines taught on God will be purified by the Word and Spirit, and all His people will be refined for His coming. Before Peter 112th, there appears to lie two opposing roads: One is for him to acknowledge the work that God is doing, to lead an escape from Babylon; this is a road of glory. The other is to seek to preserve, by threats, accusation, or whatever forces can be mustered, things that the Lord YHVH is ending in the churches; this is the road to shame and rebellion. Will Peter betray the Lord three times as His Body is being persecuted? Or will Peter repent and strengthen the brethren, bringing in a large ship of fish? No matter which choice is chosen, from repenting in tears and sackcloth to sitting haughtily on an exalted throne of piousness (as a naysayer of the movement of the Spirit), judgment comes upon the houses of God, from the Roman Catholic Church down to all the Protestant daughters of Babylon. We can celebrate the fall for the glory of the Lord and the arrival of Messiah, or we can seek to preserve that which is destined to fall and join in the fall. This choice lies before Peter, the 112th, yet the Lord’s House will be established in Jerusalem at His coming, and it will not be left for a supposed substitute to reign in the seat of our awaited Messiah. Years ago, after learning of Malachy’s prophecy of the 112th, “Peter the Roman,” and the Antichrist coming to battle him, I prayed and asked the Lord if the prophecy is indeed true. At the time, over a decade ago, it seemed to me that the Lord was showing that He will put a cap on all powers that have arisen in the earth. “Nisan” may have been exclaimed because such was the 7th month of the Hebrews, which was when God decreed the 1st month in His sacred calendar, changing the times from men to God. This was just prior to the first Passover of God. Yet recently this vision, kept buried in my heart, has again been brought to my attention. I began to search for pictures of the earthly drill-bit. I looked to the the Mayan temples, but they did not do justice for what I saw. I then looked to Greek and Roman structures, but I did not find anything similar. 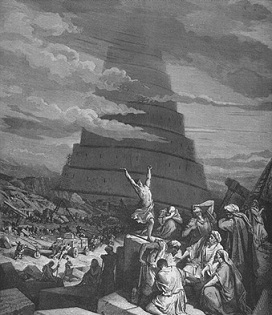 Then it came to me, and I looked to the Tower of Babel, and there I found image after image similar to what I saw. Such was the tower that was exalted to reach the throne of God, but the Lord put a cap on their work and divided the rebellious people. After that, I looked to the oracles and the traditions of the Jews, so that I might understand more things of the sacred month, Nisan. 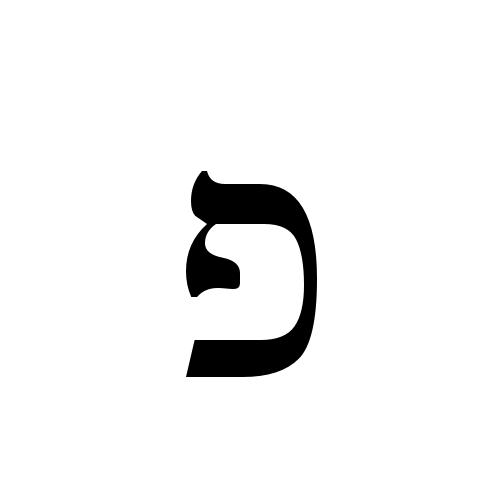 Though I knew that Nisan is the Divine “Month of Redemption,” I did not know that it is also considered a “New Year for Kings,” as recorded in their Mishnah. (Although the book is not as the Word of God, it has some insightful things from ancient Jewish thinking.) 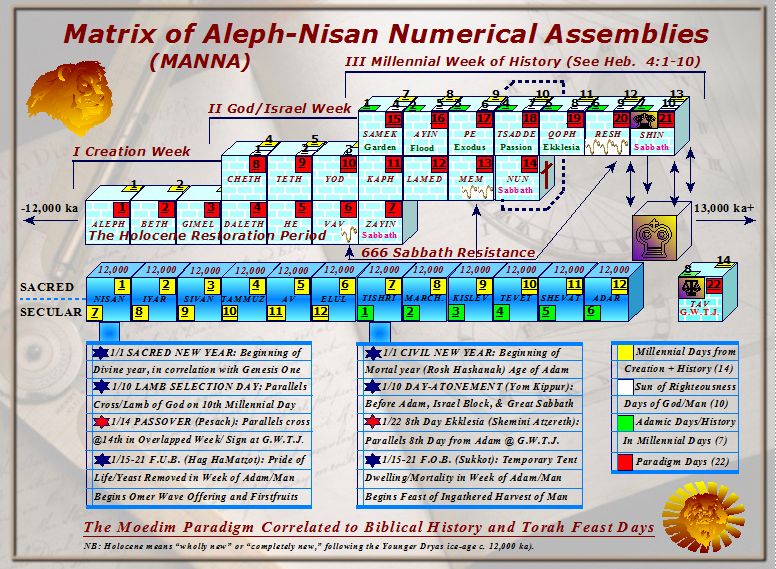 Nisan was the new, Babylonian name given for the Hebrew month, Aviv, during their Babylonian Captivity, which brings to mind the altering of the their redemptive Passover season in the Babylonian world. Finally, I considered that barley is called “Aviv” (Nisan) after the grains have reached full maturity, filling with starch. The conclusion I reached was that Babylon has reached her limits and is about to be harvested for the coming of the Great King. The heights of Babylon will not reach the heavens, no more than the Tower of Babel, for the Lord Himself has called for a cap and a sealing, and He is calling for His people to escape the judgments coming upon her. Taking a closer look at this passage, it is rather clear that her judgment is not something that has already passed; it will come upon “Babylon” during the Apocalypse. The ruin of the city of Babylon is permanent and complete, and this has yet to occur in the history of Rome. Fornicating with the kings of the earth expresses the fact that she shares in worldly, political, and financial interests with national leaders, rather than being consecrated and separated unto the Lord and His work. Relatedly, Vatican City was given the privilege of national status, having a seat at the United Nations with world leaders, even after the church lost its universal power over Western nations. Inhabitants of the earth, made drunk with the wine of her fornication, means that those who have shared in her golden chalices have had impaired spiritual judgment, deceived by her tainted doctrines of primacy and historical power. Intoxication means that she has hindered them with impaired judgment over the things of God. The golden chalice filled with abominations is also a sign that she drinks unworthily of the Lord’s cup of sacrifice. Further, golden chalices are used to this very day during Catholic liturgy. Babylon the Great was arrayed in purple and scarlet, and this expresses her royalty, sitting as a queen; besides being royal colors, purple and scarlet have long been the primary colors worn by the cardinals and bishops; in fact, the red birds called “cardinals” received their name from this scarlet-wearing priesthood. Riding the Beast shows the great control she once had over the last, great empire (Roman) in which Satan embodied to bring national desolations and spiritual trials- i.e., the “wilderness.” No other institution or great entity has held so much sway over the Western world- not in comparison to the Roman Catholic Church. 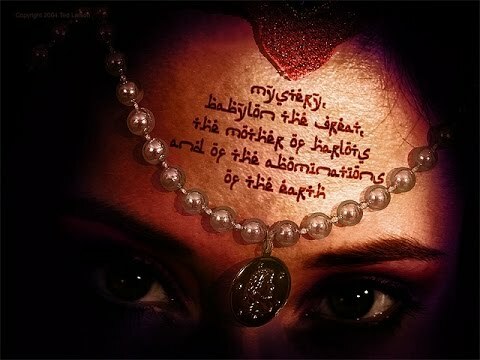 She was adorned with precious stones and pearls which explains the richness of her ancient treasures and adornment, and possibly it hints at the rosary beads of her mystical chants (i.e., prayer beads that have nothing to do with the fruits of righteousness nor Scriptures or Divinely appointed practices). The gates to Heaven in Catholic traditional teaching are pearly gates, which is derived from the description of New Jerusalem in Revelation, with each gate for the twelve tribes composed of a single pearl. The Roman Catholic Church has for centuries adorned itself with a false teaching that Christians must go through their Church to enter the Kingdom of Heaven. “Mystery, Babylon the Great” is a title that explains that there are biblical connections and parallels/correlations between Babylon the Harlot and the ancient Babylonian Empire, which was destroyed when the Lord called His people out to rebuild Jerusalem and the Temple of GOD. (I explain the most important of these numerous connections in other articles.) From the Jewish historical perspective, and from the spiritual/heavenly perspective, the Roman Empire and the Babylonian Empire mirror each other in remarkable ways. There is perhaps one problem in interpreting the vision of Babylon of Revelation as the Roman Catholic Church: Too many parallels perfectly fit to properly explain them all in but a few articles. Volumes could be written to establish that the vision of Babylon is indeed for the Roman Catholic Church. Most of these characteristics can only perfectly fit the papal institution. Knowledge of this, I suspect, is the primary reason that the Catholic Church has taught their faulty interpretations of Revelation, placing Babylon’s identity on ancient Rome or Jerusalem or some other spiritual force. They know that no other entity fits so perfectly as does her history and likeness, and her scholars must hide this fact. Thus, Catholic theologians have sought to change the times of Revelation Scripture with A-millennialism and Post-millennialism to hide it and maintain their worldly status, image, and pompous glory- a marvel to behold, as John saw in the vision. 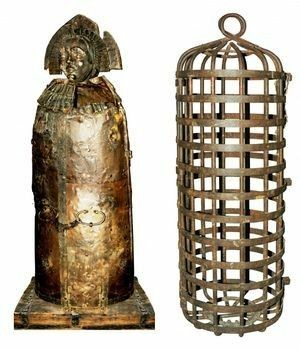 One interesting difference between Mystery Babylon and the ancient Babylonian Empire is the placement of the golden chalice. Jeremiah the Prophet pictured ancient Babylon as a golden chalice in God’s hand; she made the nations drunk with her raging ways before she suddenly fell to invading Persians. Mystery Babylon, however, has the golden chalice in her own hand, which shows that she believes that she has control over her own destiny and her many murderous abominations, not God (see Jer. 51). This is seen in her boast of authority in changing the holy Sabbath day of worship to Sunday for her devoted masses. (She really does believe that her authority and traditions are equal to, or above, the Word of God, which is a doctrine of the damned in and of itself.) In fact, many Catholics sit secure, believing that their Church is above the fray and exempt from the judgments of God. Every past torture and murder is, in their eyes, justified because of her holy authority in the things of God. These are not my opinions but come from her own corrupt doctrines. The collective Beast “was,” in past tense, because it consisted of Satan-ruled empires in days before the Book of Revelation was given to Prophet John. The Beast “is not” (at the time of John receiving Revelation), because it is not complete until the coming of the Antichrist as the Destroyer (a.k.a. Apollyon and Apollo) when it ascends out of the bottomless pit of spiritual depravity. The Beast “yet is” (when Revelation was given), because the Roman Empire, an important part of the empirical powers of Satan, existed in the time that John received the vision. Remember, Satan boasted to Christ of his authority over the Roman Empire and all kingdoms of the world. Again, the Beast is said to ascend out of the bottomless pit, because the depths of Satan’s corruption is seen as a bottomless pit. The Destroyer, the coming evil one, is the king of the bottomless pit, and he is the Antichrist, as the final part of the work of Satan through these devouring empires: the beasts (collectively Dragon and Beast with seven heads, with ten horns for the end of the age). Moreover, the messenger’s peculiar wording informs us that the Beast is a collective entity of past, present, and future powers that have resisted God’s will for a holy Kingdom at Israel. For those who are still uncertain that “Mystery Babylon” is indeed Rome, consider the words of Peter when in Rome, whom the Roman Catholics call their “first pope”; he clearly called the city of Rome “Babylon,” writing that “She who is in Babylon, elect together with you, greets you” (1 Pet. 5:13). Hence, “the church” at Rome was preparing to take her seat over the seven hills from nascent Christianity. The mystery of iniquity was already forming in the 1st century. The apostles and early assemblies of Christianity called Rome “Babylon” because they (Peter, Paul, et. al) were mostly 1st century Jews who knew the history of their people and discerned clear correlations between the Roman Empire and the earlier Babylonian Empire. They witnessed the destruction of Jerusalem and the Holy Temple by the Romans, knowing that it, in many ways, mirrored the destruction of Jerusalem and the Temple by the Babylonians. In fact, Jewish tradition has it that both Temples of Elohim YHVH were destroyed on the very same date: 9th of Av. Rome and Babylon both exiled Jews from the land; the former as captives spread in Babylon (c. 586 B.C.) and the latter in the Jewish Diaspora into the Roman world (began 70 A.D. and complete by 135 A.D). The priesthood was abolished in both cases, and Gentiles in both cases received the sacred treasures of the Lord from the Temple. Finally, Jews were warned of a second destruction of the Temple while still in Babylonian Captivity, linking Babylon to then-future Romans (see Dan. 9:25-26). Moreover, Jews of the first century who had wisdom of the world and their own history knew that the City of Seven Hills was Rome, and Rome was called “Babylon” because the latter empire mirrored the historical actions of ancient Babylon concerning the Jewish people and nation. For them, the mystery of Babylon was not her identity as a city, rather it was the “mystery of the Church” falling away from the truth of their God YHVH and the Gospel of the coming messianic Kingdom at Jerusalem- the collusion of the pagan and persecuting Rome Empire with the Gospel and an Ekklesia that was called to be consecrated and separate from the worldly and their carnal ways. The mystery, however, appears unrelated in the Catholic view: Secular/Pagan Rome persecuted Christians in the first few centuries of the faith, and Rome was burned by fire. Yet the prophet clearly saw parts of the Beast collective not yet in existence (things yet to come during his day), particularly the “ten horns” of nations united at the end during the Apocalypse. God’s judgment has not yet come to Mystery Babylon and the Beast. Babylon would be extant when the Antichrist came, and her influence spread to nations of the seas; the city of Rome is not so fortunate as to have a billion citizens spread all over the world, but the Roman Church indeed does. Further, why would the Lord be angry over ancient Rome’s “fornications” with the nations and their idolatry, seeing that ancient, pagan Rome (before the Gospel) was never committed to our God to fornicate against Him? The New Covenant for the nations had just begun to venture out into the pagan world. For example, God was angry with the Old Covenant nations of Judah and Israel because of their harlotries (see Ezek. 23:18-43), but other ancient cities in other nations were ignorant of God, not committed to Him. He would only call Babylon a “harlot” if she was meant to be separated from the corruption of the pagan nations unto the Lord, just as the Ekklesia was called to be. Think about this: Secular cities are not called harlots and adulteress to God, for they were already worldly (never in a Divine covenant like a marriage), but people of God are called to be spiritually holy like chaste virgins, faithful to His will and Word. Hence, can the first few centuries of persecution of the Christian Church by the Roman Empire be compared to the much longer history of the Church of Rome’s killing of “heretic” Christians and “Judas” Jews? When Rome was burned in ancient times, did the Lord call His people out of her to rebuild Jerusalem and the Temple? No, Christians were actually blamed for the fire and other misfortunes, slaughtered by the Romans in retaliation. The mystery is only half-complete until the Lord brings His people out of Babylon and back to the Promised Land, where He is prophesied to reign. For this reason, the Catholic hierarchy must twist and distort Revelation to deny that Christ is coming to claim His Sabbath dominion. They must reign in His stead, which is another way of saying antichrists (substitutes opposed to His coming millennial reign). 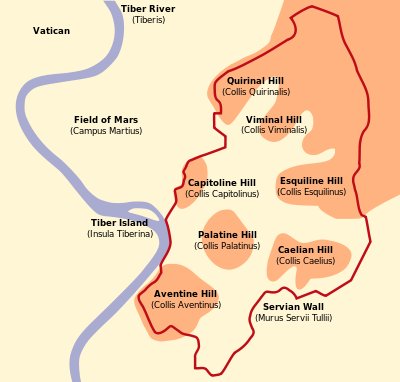 The Roman Catholic Church has always been the largest group of Christians (over one billion strong today), so would it not make sense for Christ to call His people out of the Roman Church for His coming, as opposed to calling them from the contemporary city of Rome or some other city? The city will suffer its fate, but the call is dualistic in that it concerns Christians coming out of the Babylonian religion. Does the coalition Beast during the Apocalypse merely hate the secular city of Rome, to burn her with fire? Or, does the Beast hate Vatican City, fourteen miles from the contemporary city? If Satan comes to persecute Christians, and if he joins with the children of the False Prophet, who would more likely be the source of his hatred and rage? Needless to say, if I lived in that area (Rome or Vatican City), I would be sure to heed the message of the times and escape. The Lord has appointed swift judgment for Babylon, and it will come to pass. Remember, the Beast is a composit of empires that ruled over the land of Israel. 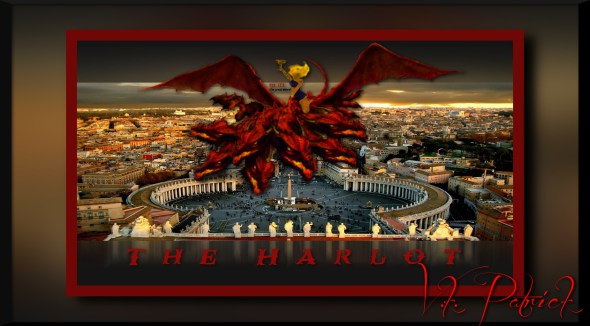 The harlot was seen sitting on the Beast because, at the time of John, Rome was the seat of power ruling over the Holy Land, but it was the Roman Church- for a short time during crusades- that ruled the Beast empire and conquered Jerusalem. The composition of the “five” empires that had fallen before the time of John’s vision is (1) Egyptian, (2) Assyrian, (3) Babylonian, (4) Medes-Persians, and (5) Grecian; these lost their empires and rule over the land of Israel yet remain in part as Daniel foretold of the ones described from his time forward. The “one” empire/kingdom that the angel said “is” at the time of John was the (6) Roman Empire, with the seat of control at the city of Rome. The empire that had “not yet” arrived in John’s day, which would rule over Israel during the time of Jews returning to the land (after the Diaspora), was the British Empire; they ruled for a “short time” over the region and the land of Israel. The Ottoman Empire ruled into the British Empire but did not rule over Jews when it was time for them to return and form the nation of Israel. In some articles, I, the scribe, write of the Ottoman-British as the 7th head of the Beast, but only to summarize centuries before the nation of Israel was reborn. The seventh head was British alone at the appointed time for Jews to return and fulfill the prophecies. I understand that some readers would object to my interpretation of the 7th head as the British Empire, especially because in 1917 the U.K issued the famous proclamation for Jews to again have a national homeland in so-called “Palestine.” But consider that the Persian Empire under King Cyrus also issued a proclamation for the return of Jews to the land of Judah, from Babylon. Daniel yet included the Medes-Persian Empire a beast ruling over his people. From this perspective, we comprehend that God also utilized satanically-inspired empires to ultimately accomplish His will. God allows Satan’s resistance until His purposes are accomplished. God is the King of Israel and Lord of His people. Israel is the place of His throne, and every empire I mentioned, at one time or another in their power over the region, has resisted God’s will for His land and people, but in the end prophecies are fulfilled and God’s greater will is done. We find this truth in the Old Testament when the Lord calls the locust army- Gentiles that He sent against His people- His “army” (cf. Joel 2:11; Amos 3:6). Moreover, the beastly empires are both enemies of God and unsuspecting role-players in accomplishing His ultimate objectives and righteous judgment. The above passage clearly explains that the Antichrist will rise out of a former empire and region which already ruled over Israel, even before John received the vision. He cannot arise from North America, Central America, South America, Antarctica, Australia, East Asia, or even most of Africa. He cannot come from Russia, north of Europe, nor anywhere but the geographical regions of the former empires. The seven empires’ region consists of Europe, the Near/Middle-East, and northern Africa along the Mediterranean Sea. He cannot be British in the west, the 7th head, or there would be no reason to mention an 8th shortly after British control of the Holy Land. Besides, the British did not have an empire before John wrote Revelation (i.e., “was”). The Antichrist Beast has a Grecian torso (leopard) with many Roman characteristics. If he battles Egypt before submitting them, as recorded in Daniel, he probably will not come from the former Egyptian Empire; the Antichrist is described as north of Israel, whereas Egypt is to the south. Also, he could hardly rise to power from the former Babylonian Empire, which today is the weakened nation of Iraq and filled with rogue terrorists. Further, the second ram-like “Beast” that joins him is already Islam. Hence, we are left with iron nations likely of central and eastern Europe, with perhaps Greece, Turkey (the former seat of the Ottoman Empire), Syria, Italy, and Germany as the prime suspects. If Antiochus Epiphanes was indeed the clearest foreshadowing, the Antichrist may be Grecian-Syrian (although Greece is currently bankrupt and Syria is trying to survive a civil war because of ISIS and other “moderate” terrorists supported by the West). If Hitler was the greater foreshadowing, the Antichrist could be German (Germany added to the former “Holy Roman Empire”). There is a possibility that Sergio Mattarella’s successor, after his seven-year term that began January 2015, could be the Antichrist, if he- the coming Italian president- hates Vatican City, Christianity, and Jews. Mattarella, the 12th president since their new constitution of 1948, elected with 665 votes, could also run again, but it would be only the second time in Italian history. The only reason I consider this is because Daniel connected the Antichrist to the ancient Romans, under Emperor Vespasian, who destroyed the Temple (see Dan. 9:26). Speculation about a German Antichrist is also warranted because Nazi Germany was the latter tail of the Dragon/Beast that cast down 1/3 of the “stars” of Israel in WWII, rather than one of the seven heads (empires) before John, from which the Antichrist must arrive. Germany was not part of the original empires before Revelation was written, so it is only warranted if we consider it an extension of the Roman Empire. Though I cannot ascertain where the Antichrist horn comes from, there are clues and perhaps enough signs for the elect to recognize him when he comes and reigns with the ten nations, submitting three of them. The Antichrist is also prophetically called “The Assyrian,” which may be as type rather than geographical, so what we have is a rather large region in which the “Son of Perdition” will originate from when he comes to power, rather than perfect certainty. And within the large region, he rises out of a “small nation” according to Daniel. We do know that the ten nations arise out of the former Roman Empire (see Dan. 7:23-24). The curious thing is that the Antichrist is called the “eighth” on a Beast with seven heads and ten horns. There is no mention of an eighth head- not in Daniel and not in Revelation. 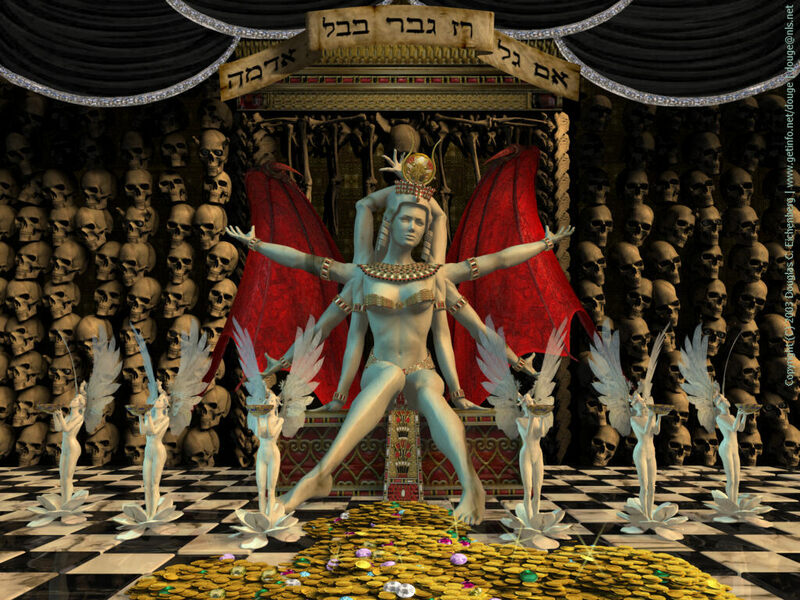 Though the ten horns arise from the seven heads which formerly reigned, the 8th is their leader but not a head. This provokes curiosity, and consider the clue that the seven-headed dragon of Satan did not cast down 1/3 of the “stars of Jacob” by one of his seven heads; instead, he used his tail- an end-time appendage of Satan’s power. The tail of the former “Holy Roman Empire” is Germany, and Germany may be where the Son of Perdition arises. The “tail” having power over Israel is an everlasting sign and prophecy given in the Torah; Israel could be the head or the tail depending upon their obedience to God, and enemies that should be as the tail would become the head over them if they lacked redemption from sins. Hence showing a tail casting down 1/3 of the stars (see Rev. 12:4) shows that their enemies which should be a tail are given power to act like a head, making Israel like a tail. I am not confirming or asserting that the Antichrist will come from Germany as the 8th empire on the Beast, only that an antichrist has already come from Germany as the tail of the dragon, like a head over Israel. 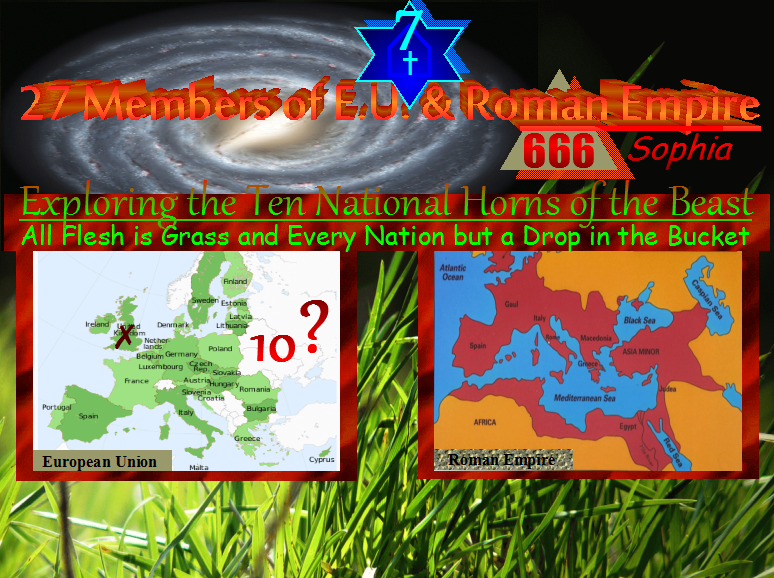 We should consider that the future Antichrist, wherever he arises, will also be called the “eighth” because he will uproot three national powers from the ten horns/nations and reign as their leader. Again, from Daniel we know that the Antichrist prevails against the elect for 3.5 years, for the second half of the Apocalypse week, and Daniel points to the Roman Empire as the source. The Antichrist gathers all nations against Israel, and from the above passage we know that he makes war with the Deliverer who comes out of Zion. The fate of Babylon the Great reminds me of a pro rodeo event. 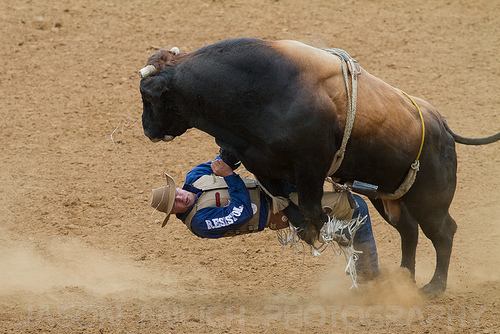 A bull-rider positions himself atop of a raging beast, trying to hang on for dear life until a mere eight seconds of spin and turbulence has passed. Unfortunately for him, he is usually violently thrown off before finishing his desired time. Then the daring rider must avoid being stomped, trampled, and tossed about before he can jump up and escape to safety, for the mad bull is after him. The harlot religion that has ridden the beastly nations of Europe has already been thrown off, having no official reins of power like her glorious yesterdays, and despite her cheering masses, she sits vulnerable. As soon as the Beast turns around and recognizes the source of his rage, he will ignore all of her distracting clowns and charge with stomping hooves and horns, head lowered in rage to break her. The rodeo beast thrashes in every direction, angry at what he considers a weaker, foolish creature that dared to defy his nature, making him a spectacle before the excited crowd. Only, this Babylonian Harlot’s clowns have had their hands tied, and no one can redirect his rage to stand in her defense. Nor has the Beast been dehorned from its youth, but it still has its wild Western and Islamic powers with a nature to thrash. The ten unified nations that grow out of the Beast will come against the Roman Catholic Church, for, once again, she has already been cast off and stripped of her reins of power, and no one is there to save her from what is to come. The harlot is still intoxicated on her past power of slaughtering the saints and riding the Beast up and down the nations, and she and her papal king may be too disoriented to know that the same Beast has already cast her off and is about to trample her; Scriptures inform us it will suddenly happen. For those who believe the seat of the pope will be the Antichrist, will he trample himself in rage? No, the harlot has already been thrown off and lost her power. Now is the time for the children of God to escape Babylon, for the Antichrist will make war will all of the saints as well as the harlot, and Rome will be ravished in burning rage. Notice that John first recorded that the harlot sat on seven hills: Rome; yet, in the latter passage, when mentioning the Beast burning and devouring her flesh, the message is that she sits upon “many waters” among many nations. She grew from the city of Rome to members all over the world who speak all languages. Clearly the Antichrist is not satisfied to destroy Vatican City of ancient Rome alone; he will hate all who are called by the name of Christ. He will even exalt himself to battle the coming Messiah after the Lord allows him to thrash her adulterous form of Christianity. There should be no doubt in the minds of anyone who has some knowledge of Scripture and Western history that Rome was the undisputed, ruling city during Apostle John’s day. The only question is if the Roman Catholic Church, which has been the power of Rome for many centuries, can be separated from the secular city? Is the secular city of Rome the source of hatred for those ten nations? Reasonable minds should doubt it. Many Muslims of the False Prophet Mohammad hate Rome and would like to see it destroyed, but their hate is because of the Roman Catholic Church at Rome, as their historical enemy. Not only do the Muslim children of Satan hate the Roman Church, but so do most leaders of secular humanism Europe. Throughout European and American universities, progressives revisit the evils of “the Church” in medieval Europe, rarely teaching their students of the good done by the faith and how the Church rallied Christians to hold back Muslim hordes as they marched through Christendom. Also, the Roman Church desperately seeks to show its embrace for the neo-Darwinian worldview, knowing that a new generation has utterly severed its allegiance from Christian history for a new god of materialism science and a new religion of progressive political correctness. Indeed, the secular humanist enemy of God has already grown too powerful to be appeased by her, and they side with the children of the False Prophet Mohammad. They know that Islam is a traditional enemy of the Roman Church. 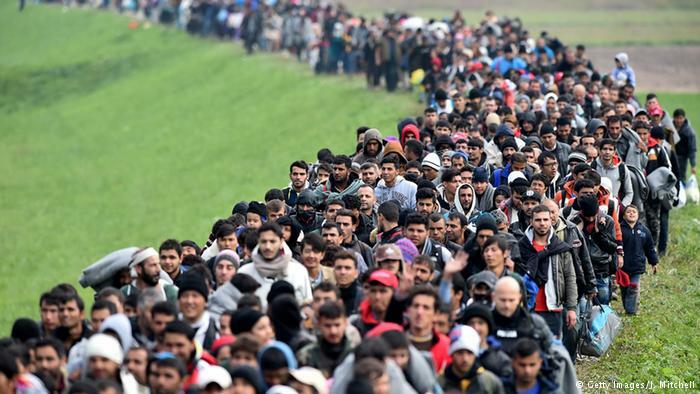 Further, it does not help the Roman Church to have a foolish Jesuit leader who preaches open borders and invites Islamic immigrants, which can only continue to weaken their adulterous form of Christianity and endanger all Christians and Christian churches. As for the harlot being thrown off, we know which nation of the Beast is credited with first casting off the papal reign and controls over them, via challenging her alleged Divine authority in Christ. Martin Luther, the famous German theologian and former Catholic priest, is widely viewed as the father of the Reformation. 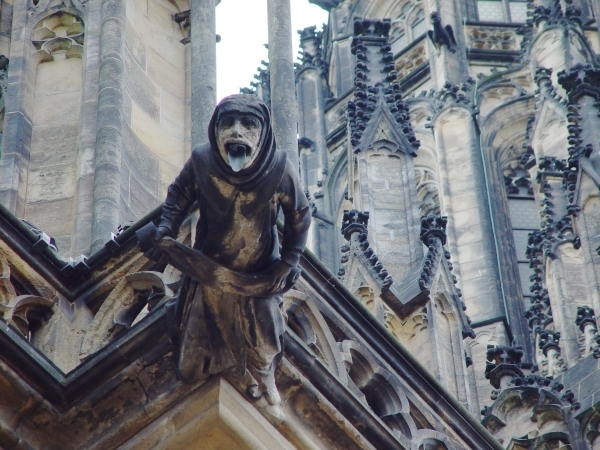 Germany, once united in the “Holy Roman Empire,” began to buck under Luther’s rhetoric against the Babylonian entity. Martin Luther, who originally sought to convert Jews to his brand of Christianity and failed, vented vitriol against the Jewish people, and his words resonated in the the hearts and ideas of the German populace for around 400 years, even until his hatred for Jews was ripe in Nazi, Germany. When the Nazis came to reap, fully empowered by the wrath of Satan, their propagandists repeated the very phrases of Luther’s anti-Semitism. Luther encouraged his followers to burn down Jewish homes and synagogues, preaching that Jews were “a plague, a pestilence, a pure misfortune for our country.” He called Jews “thirsty bloodhounds and murderers of Christendom.” When the reapers of Martin Luther’s seeds of wrath came to power, they echoed his familiar words to reinforce their demonic hatred for the children of Israel; Joseph Goebbels, leading the propagandists of Nazi Germany in boycotting Jewish businesses, had signs posted proclaiming, “The Jews are our misfortune.” He and his German followers called Jews a “plague” which Germany needed to eradicate. Then came Kristallnacht (Night of Broken Glass), and Luther’s appeal came to life, wherein a two-day burning and looting of an estimated 7,000 Jewish businesses and 2,000 synagogues ensued. The point of this is that the daughters of Babylon are also guilty before the Lord YHVH, having inherited traits of anti-Semitism and continuing in corrupted doctrines from their mother church, even down to their Catholic roots. 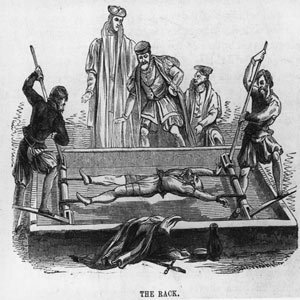 The Roman Catholic Church endorsed the murder of non-converting Jews by national powers, as well as their exile of Jews in the Spanish Inquisition of 1492. The Protestants came along with the same hate and replacement theology which directly led to the Holocaust. Continuing in the Roman Church’s doctrine, the latter church denominations are also collectively guilty before the Lord for centuries of hate for the people who brought us the entire Bible- the very nation from which Yeshua and the apostles came, loved, and waited for the promises of the messianic Kingdom. Only now, at the end of the age, are many Protestant daughters identifying and casting away inherited traits from Roman Catholicism and honoring the people of the Bible. Nonetheless, the centuries of time to get it right is almost over; judgment will come on all of Christendom as it did to all of Israel when they corrupted the covenant and oracles of God. The Lord will purge all of His people (Jews and Christians) because of their spiritual adultery, and only after that is complete will He destroy His loathsome enemies- the children of the False Prophet and demonic progressives. .
To this day, Christians from almost every Protestant banner boast of Martin Luther and him nailing 95 objections to the door of the Vatican. Yet, what about the accusations he levied against the whole nation of Jews? Messiah said that what was done to the least of His people was also done unto Him, like nailing Him to the cross over 6 million times just in the Holocaust alone. Thus, all of us are guilty before God, and the entire houses of Israel, Judah, and Christian Gentiles will be cleansed down to Hebrew roots for a pure and untainted doctrine of Scripture. Honor will be stripped away from all who have hated the Lord’s people, and shame will be given for Calvinists and replacement theologian who disgraced the true prophecies and true Gospel of God. Nobody will be exempt from God’s coming judgment, and He will purge and refine all His people to bring biblical justice and truth to the earth. For a bit more on Germany, the beastly image that the Nazis adopted was of wolves ravishing the sheep of Judah from their midst. Both German and Roman leaders were likened to hungry wolves among Jewish sheep. Joseph Goebbels wickedly declared, “We come like wolves descending upon a heard of sheep.” Also, Hitler’s nickname was “Herr Wolf.” Interestingly, the Messiah alluded to the Roman persecutors of Israel as “wolves” which would scatter the sheep after His death (see John 10:12). Israel, on the other hand, was likened in Scriptures to God’s “sheep with no shepherd,” and wolves were the most common threat to the sheep. In making another beastly comparison of Nazi, Germany to ancient Rome, the legend of the Roman Empire’s origin is that its two founders were infant brothers, Romulus and Remus, who survived by being nursed by a wolf, sometime in the 8th century B.C. Satan, the Dragon, gave his power to ancient Rome to scatter Israel like sheep before wolves, and he gave the same power to Germany (formerly part of the “Holy Roman Empire”) during the Holocaust. Also consider Gideon foreshadowing Messiah and how he saved Israel from all the nations gathered against them, with Oreb and Zeeb- the two Midianite princes- captured (see Jud. 7:25; Ps. 83:1-11); Oreb means raven, and Zeeb means wolf. It would be fitting if the Antichrist led the decagon nations from Germany, as a beast which also resembles the former Roman wolf. If I had to make a bet on the future, based upon foreshadowing evils of the past, I would bet that the Antichrist comes out of Germany; yet, the Lord has not revealed to me- at least not yet- from which nation the Son of Perdition will arise and lead the ten innermost nations of his short-lived global dominion. Personally, I do not judge the entire nation of Germany- knowing that many of its citizens stood in fear of, and some in ignorance of, what the fascist socialism beast was doing to those considered undesirables and enemies of the fatherland. Further, what Churchill and Roosevelt did to the town of Dresden during WWII, with indiscriminate bombs slaughtering about 135,000 men, women, and children (of a population around 600,000), was an evil comparable to German atrocities during the war. Neither am I writing as someone prejudiced in the flesh, seeing that I am of both German name and descent. Nor have I been indoctrinated by Jews, seeing that I have never had a Jewish friend nor associate in this life (that I am aware of). My studies of history and Scripture are completely independent, and my faith was of the southern Baptists (derived from the Babylonian religion and their replacement theology). I write these things according to scriptural signs and prophecies, historically relevant with correlations to them, not according to any personal preference or prejudice. The way I see it, all have fallen short of the glory of the Lord and all have trespassed, as written in by Isaiah in Scripture, some less than others. Be reasonable, all you who are of Babylon and who believe the prophecies of Scripture, and consider the things written against Babylon which have not yet come to pass. Read the Book of Jeremiah and understand the times. Jeremiah’s prophecy of seventy years of Jewish captivity in Babylon was confirmed by Prophet Daniel (see Dan. 9:2; Jer. 25:12), and the people returned to Zion; however, ancient Babylon was not thrown down with the great violence that was prophesied; it echoed forward. Josephus recorded that the wicked city surrendered without the slightest resistance. Many prophesies are reserved for spiritual Babylon, for the city of Rome and Church which sits there; prophecies for spiritual Babylon still stand. God will allow the Beast to persecute and judge the churches to accomplish His will. Nonetheless, in the end the Lord’s people will unite, and the world will not prevail with its lies. Truth, righteousness, and justice will come with the Messiah and His everlasting Kingdom. To reiterate and make these things as plain as possible, I will again summarize the interpretations: Rome is clearly the city of seven hills referred to as “Babylon” by the early Ekklesia of Messiah, as confirmed by Peter when in Rome, mirroring the paganism and deeds done to the Hebrew people by ancient Babylon. The Lord’s New Covenant people committed spiritual harlotry by joining the things of God with Roman tyranny and paganism. 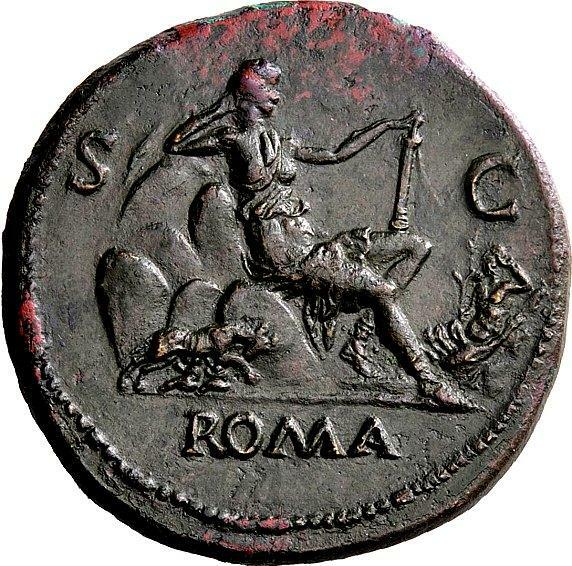 She- the adulterous church based at Rome- rode the Beast’s empire among European nations, century after century in a bloodbath of papal authority, torturing and slaying pagans, Christians, and Jews who dared oppose her on any front. Kings and queens feared her and often submitted to her demands, and in religious zeal they performed their bloody scourging for her. Satan, the dragon, has worked through various empires to negate the will of God for His people and Holy Land. The Holy Spirit reveals these empires together in the likeness of one great Beast in the image of the Dragon. There are seven empires, minus the Diaspora gap, which ruled over the land and people of God, which I have named. An 8th power is revealed during the Apocalypse, likened to a ten-horn-league of nations from which the boasting “little horn” arises. The two horns of the False Prophet nations- Sunni and Shiite- will give their power to the Beast in persecution of Israel and Christians. This is the clay mixing unnaturally with the iron- the ten toes of Daniel’s interpretation of King Nebuchadnezzar’s dream. This is why the Beast, devourer of nations, has a body which is reminiscent of, and has features resembling, some of these ancient empires that ruled over and/or persecuted Israel and Judah. The ten horns will hate the RCC. Already she has been cast off, and soon these ten nations will conspire to burn the city and persecute believers. This loosely fit empire will be much like the Roman Empire when they persecuted both Christians and Jews in the first few centuries of Christianity, and many Muslim nations will be joined with them. Ultimately, however, readers should assemble clues and reason to reach their own conclusions for the identities of the Beast, False Prophet, and Mystery Babylon. Babylon can represent a world system and a nation that has a record of slaughtering the saints. Yet no matter what conclusion readers of Revelation reach, it is wise for us to first consider that all clues must fit properly together for the ultimate and perfect fulfillment of a prophecy, and we should resist forcing Scriptures to fit. The Bible allows for many types of antichrists and babylons and false prophets, but there is a perfect and full interpretation each mysterious passage of Holy Scriptures.